Ariela Freedman's first novel, Arabic for Beginners, was shortlisted for the QWF Concordia University First Book Prize and is the Winner of the 2018 J. I. Segal Prize for Fiction. Her second novel is A Joy to be Hidden, set in New York City during the 1990s. It's about a young woman who uncovers a family secret while sorting through her grandmother's belongings after the death of her father. 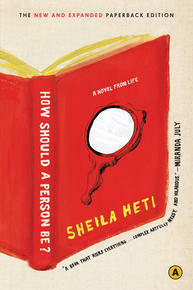 Her recommended reading list features other great books by Jewish Canadian writers. 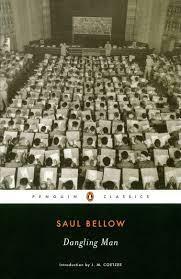 Do Canadians get to claim Saul Bellow? Bellow was born in Lachine, a Montreal suburb, in 1915 and lived in Montreal until 1924. His childhood home shows up in his first novel as “a slum between a market and a hospital…And the pungency and staleness of its stores and cellars, the dogs, the boys, the French and immigrant woman, the beggars with sores and deformities whose like I was not to meet again until I was old enough to read of Villon’s Paris, the very breezes in the narrow course of that street have remained so clear to me that I sometimes think it was the only place where I was ever allowed to encounter reality.” True, Chicago would like to have Bellow as all their own, and many of his books are about what it means to be an American. But behind and beneath that American quest is a Canadian childhood, and in Dangling Man it shows its foundational importance. 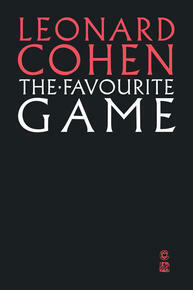 This has to be the canonical Jewish Canadian novel. 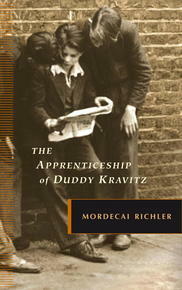 Richler’s portrait of Duddy’s tragic rise and fall takes its place among the great realist odysseys of mid-century North American fiction. While the book’s misogyny hasn’t aged well, the portrait of Saint Urbain street is immortal. I grew up listening to Cohen’s music, so the autobiographical voice of his first novel is one I have heard splintered into a hundred songs. A sexual and artistic bildungsroman, the book is it many ways excessive, with little of the control and containment the lyrics will later express. Cohen’s exorbitance and bitter satire is part of what’s so fun about it—you feel a young artist learning that he needs to break every taboo in order to establish his own voice. And it is really funny as he charts “Montreal on the very threshold of greatness." 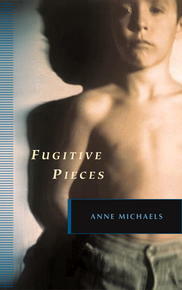 Fugitive Pieces is divided into two parts. 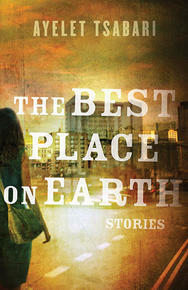 The first tells the story of a Jewish child, Jakob Beer, who lives in Poland. He survives the war, moves to Canada, but is haunted by his past. In the second part, we follow the son of a survivor, Ben, who admires Jakob’s poetry and visits his home in Greece to reckon with his past and with his own family trauma. Michaels is also a poet, and the novel is an elegy and meditation on intergenerational trauma, the elusiveness of memory, and the search for a story that will unlock the past. Israeli-Canadian novelist Ravel has published a dozen books, and has been a finalist for prizes including the Giller and GG, a winner of the Segal award, the Canadian Jewish Book Award, and many others. 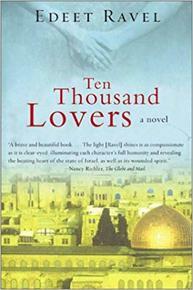 My favourite of her books is Ten Thousand Lovers, which goes back and forth between Lily’s life in Canada and her memories of being a young student in Israel and falling in love and conceiving a child with Ami, an actor who now works as an interrogator for the Israeli army. Ravel’s book is lush and political, attentive to complexities of place and of memory. David Bezmozgis’ first book chronicles a more recent Canadian Jewish experience: the wave immigration from the Soviet Union in the 1980s. This series of linked stories focuses on Mark Berman, who arrives as a child with his family, and the motley group of immigrants who form part of their new community. "This was 1983, and as Russian Jews, recent immigrants, and political refugees, we were still a cause. We had good PR," he writes. 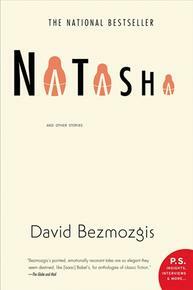 Moving from boyhood to adulthood, Bezmozgis is attentive to the particular challenges of an immigrant coming of age story, and the mix of generosity and condescension which the new Canadians encounter. 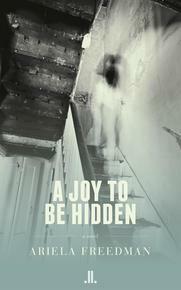 A Joy To Be Hidden is set in a vividly recreated late-90s New York City. The protagonist is Alice Stein, a graduate student whose father died a year before, and who has now lost her grandmother. In the process of sorting through the grandmother's belongings, Alice unlocks a family secret. In addition to its wisdom and rich humour, the novel is full of memorable characters. 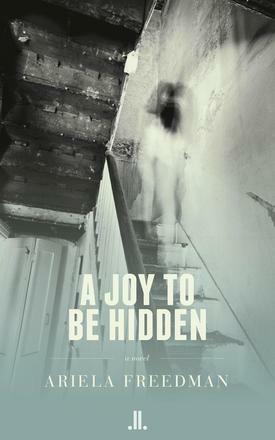 We can never quite forget the title quote—"It Is a joy to be hidden, and a disaster not to be found" (D. W. Winnicott)—and we discover, over the course of the novel, that it applies to all its characters. tagged : literary, buy it, read it, re-read it!